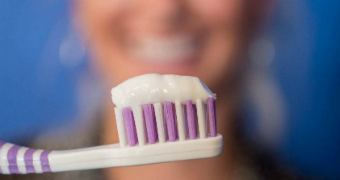 Do you pay attention to how much toothpaste you put on your toothbrush every day? New research from the Centres for Disease Control and Prevention (CDC) in the United States has found most children are using far too much. In fact, the advice from the Australian Dental Association is less is more for both adults and children when it comes to brushing your pearly whites. So how much is too much and what are the risks? We asked a dentist to explain. What happens when you use too much toothpaste? Most toothpastes contain fluoride, a substance that helps strengthen teeth and prevent tooth decay. But if young children ingest too much fluoride while their adult teeth are still forming, they can develop what’s called dental fluorosis. “Fluoride in too higher concentration mixes with the other minerals that are trying to develop in our teeth. We have multiple minerals that make up our teeth and it basically changes the ratios,” Norah Ayad, the senior vice-president of the Australian Dental Association Queensland, said. This can cause teeth to become stained or discoloured, and in severe cases, affect the quality of their surface. “Because the mineral content of the teeth is changing, it can make the surface of the teeth not as smooth,” Dr Ayad said. Dr Ayad said those with dental fluorosis were also more susceptible to decay and breakdown. The country’s first comprehensive dental health report card has found a series of damning statistics about the state of the population’s teeth. 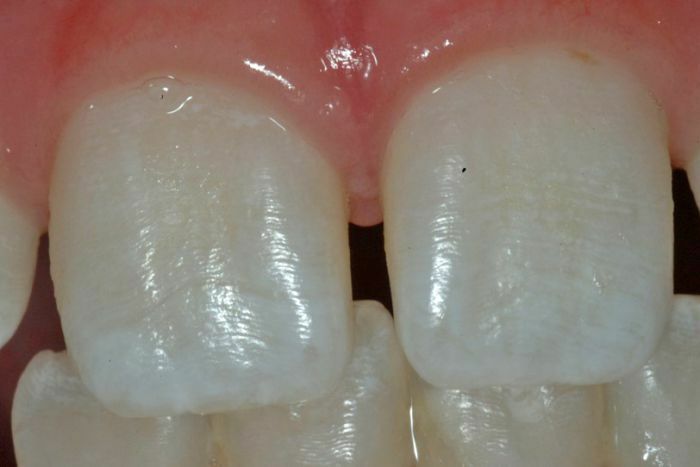 How common is dental fluorosis? A report released by the National Health and Medical Research Council in 2017 said most cases of dental fluorosis in Australia were mild and had “no effect on the function of teeth”. 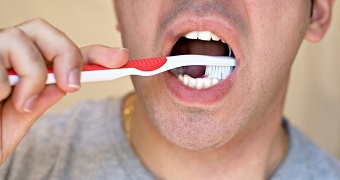 “Moderate dental fluorosis is very uncommon and severe dental fluorosis is rare in Australia,” it said. Dr Ayad said adults didn’t need to worry about using too much toothpaste. “It’s not a problem for two reasons. Firstly, as adults, our teeth aren’t developing so they’re not at the high risk that developing teeth are to the effects of fluoride in high concentrations,” she said. So how much toothpaste should I use? You probably squeeze a ribbon of toothpaste along the length of your brush. But the Australian Dental Association says adults only need to use one, pea-sized blob of fluoridated toothpaste when brushing. “I think the reason we’re used to smearing the length of the toothbrush is advertising from the companies,” Dr Ayad said. How much should children use? This depends on their age. Should you brush with homemade toothpaste? If you’re trying to avoid plastic, perhaps you’ve considered making your own toothpaste. If so, here are some things you need to consider before you get started. The Australian Dental Association says parents should start brushing their children’s teeth as soon as they appear, but no toothpaste should be used until they are at least 18 months old. Once the child is one-and-a-half, parents can start using a smear of low-fluoride toothpaste (about the size of a grain of rice) on a soft-bristled brush. The amount can then be increased to a pea-sized amount of low-fluoride toothpaste (about 0.25 grams) when the child turns three. Any child over the age of seven can use a pea-sized amount of standard toothpaste when they brush. What if my child swallows a whole tube of toothpaste? Dr Ayad said too much toothpaste could also cause tummy upsets for young children. “The antidote to too much ingested fluoride is actually milk. It basically helps bind to the excess fluoride and get it out of your system,” she said. See Toothpaste and Toothbrushing: a new report by the CDC and the many articles, like the one above, that have covered it.